This major provides six areas of interest leading to the B.S. degree: Pre-professional (veterinary medicine or graduate training), Biotechnology, Business/Service, Equine Science, Food Science and Production Management. For detailed information, please refer to animalscience.uconn.edu. 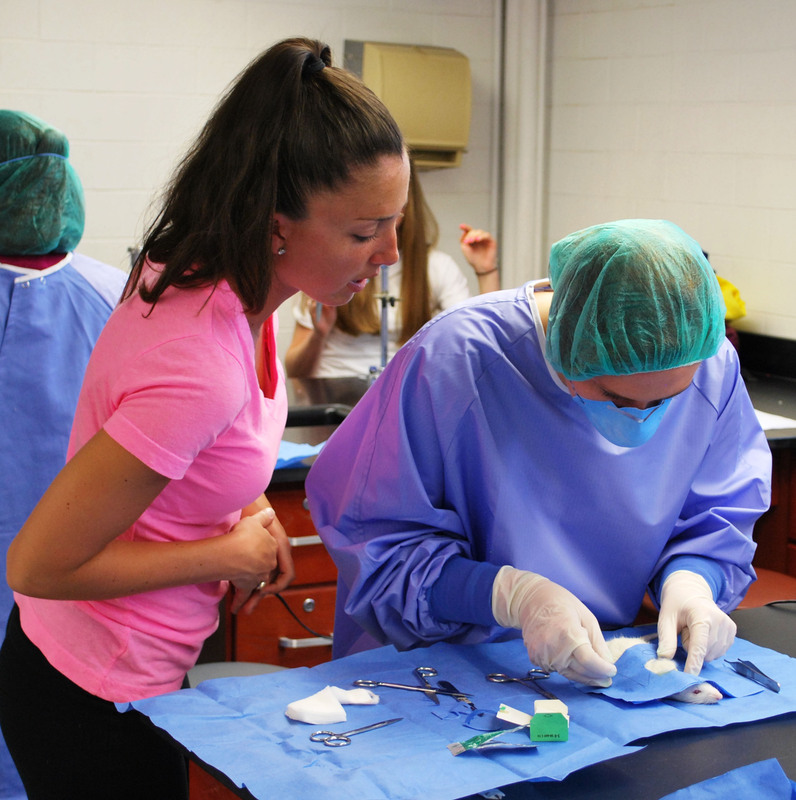 Animal Science majors must pass all courses from Group A, at least one course from Group B, at least one course from Group C, and one additional course from either Group B or C. No single class can satisfy more than one requirement. To satisfy the general education requirement for information literacy, students must pass ENGL 1010 or 1011 or 2011 and one of the following courses: ANSC 3194, 3261, 3312W, 3314W, 3317W, 3324W, 3344W, 3642W, 4312W, 4342W, or 4662W. To satisfy the general education requirement for writing in the major, students must pass either ANSC 3312W, 3314W, 3317W, 3324W, 3344W, 3642W, 4312W, 4342W, or 4662W. The Department of Animal Science offers minors in Animal Science, Dairy Management, Food Science and Therapeutic Horsemanship Education. These are described in the Minors section of this Catalog.